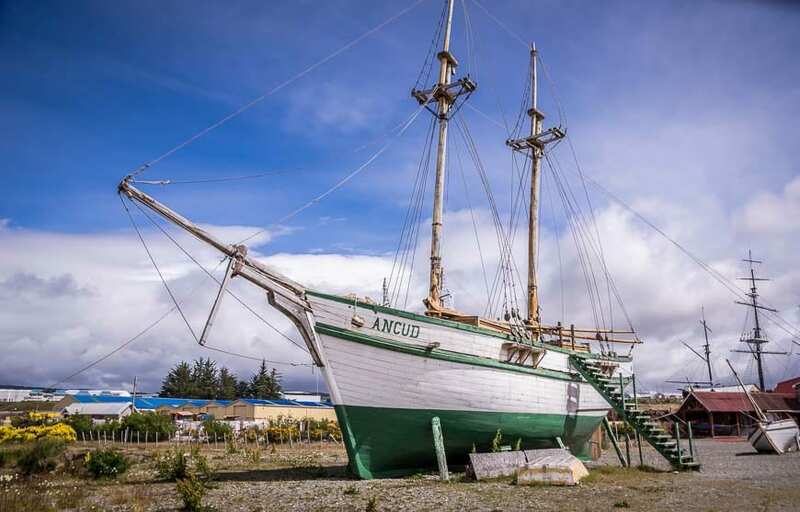 Chances are high if you’re planning a visit to Patagonia that you’ll fly from Santiago into Punta Arenas, Chile – a seaside city known as the “end of the world.” It certainly has that sense about it. It’s both bigger, windier and more colourful than I imagined it to be with an overriding sense of loneliness about it, largely because I hardly saw a soul, except on the boardwalk late in the afternoon. Despite its location near the tip of South America, it’s still another 2,000 kilometres from Antarctica! Where is Punta Arenas, Chile? 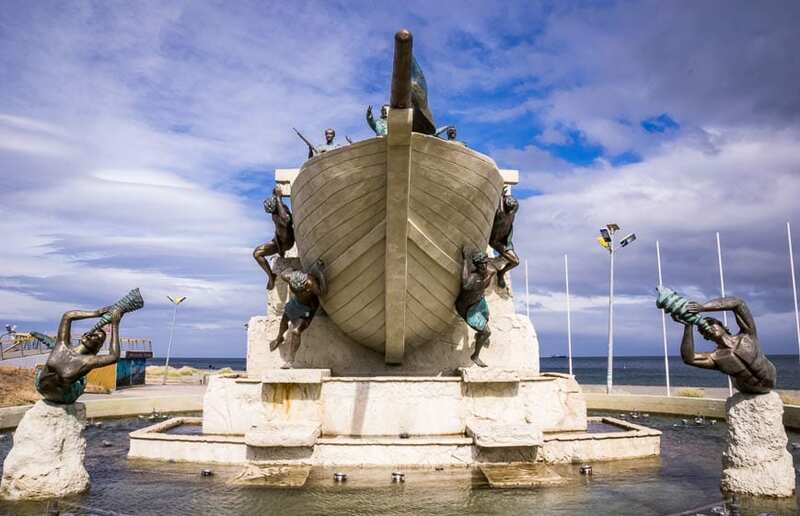 What can you do in Punta Arenas? Here’s a look at what you’ll see in Punta Arenas if you don’t mind walking. We only had two nights and a day in Punta Arenas before hopping on a bus to Puerto Natales – the gateway to Torres del Paine National Park. I’m glad we had the time, not only to recuperate from 24 hours of travel but to explore the city itself. Punta Arenas is located 3,100 kilometres south of Santiago via a three hour flight that only costs about $Cdn 150 per person. The city itself is on a peninsula overlooking the Strait of Magellan. Tierra del Fuego is on the far side of the strait. From the modern airport it’s only a 20 kilometre ride to get to downtown Punta Arenas, and our lodging – Hotel Lacolet, located in a residential neighbourhood. From the hotel it was just five minutes on foot to get to a major bus company depot and a 12 minute walk to restaurants in the downtown area. After one of those deep, drugged like sleeps you slip into after several long flights we were ready to explore Punta Arenas. Right off the bat we had a change in plans. The boat tour to the penguin sanctuary off of Isla Magdalena we had booked was cancelled due to gale force winds. It happens a lot so even if you’ve paid in advance you should have no problem getting a refund. In chatting with another guest in our hotel over breakfast it was recommended to us that we visit the Nao Victoria Museum overlooking the Strait of Magellan. And so that’s what we did. The museum is home to replicas of famous ships including a full size replica of one of Ferdinand Magellan’s ships – the Nao Victoria. You’ll also see Darwin’s HMS Beagle and Shackleton’s James Caird. Allow a solid hour as its fun to explore the insides of all the boats. A visit will also get you thinking about how tough life would have been as a sailor, both in their spartan quarters and out on some of the most dangerous seas on the planet. No thank you! Our next stop was at the Reserva Forestal Magallanes – a short taxi ride away from Punta Arenas. A visit here offers some lovely hiking through native forest filled with coigüe, lenga and ñire trees. We planned a loop hike but ended up doing an out and back one as we found a side trail with lovely views back over the city and across the Magellan Strait, towards Tierra del Fuego. Allow at least two hours – more if you want to complete the loop. We had our taxi driver wait for us for a reasonable fee. We were famished after visiting the museum and the park so had the taxi driver drop us off on a downtown street filled with restaurants. We wandered into one where all the chairs were covered with sheepskin. After battling wind for hours it was a treat to be warm and cozy again. It was apparent when we got our food that we had incorrectly divined what we were ordering. Portion sizes were monstrous (we found that on several occasions) so order half of what you think you need. John ordered empanadas and got a plate that belonged in a buffet line. Don’t forget to order the local drink – the pisco sour. Looks like 2 potatoes and half a sheep in this soup bowl! After our monster meal we decided it was time to walk again. This time we made for the promenade along the ocean and spent the next few hours watching birds, getting our photos taken in front of the Punta Arenas sign and just taking in what life looks like on a summer Sunday in Punta Arenas. By the time we’d finished walking the promenade we were ready to head back to the hotel. We’d had a very enjoyable day and I think we all came away with at least a sense of Punta Arenas. According to a guide we met on the O Circuit, I understand that there is a vibrant cultural scene, especially with regards to music. 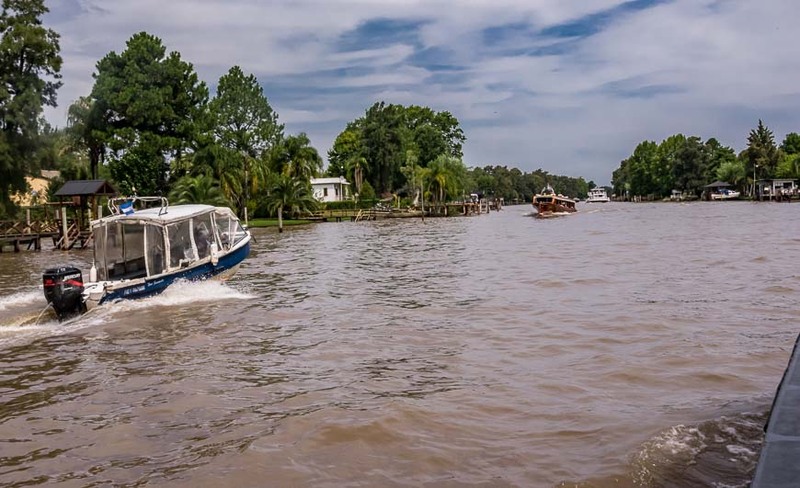 So should we ever return – perhaps on a trip to Antarctica as this city is the staging area for a trip south, we’ll check in advance to see what’s happening. If you’re heading to Patagonia I recommend allowing a full day to explore Punta Arenas. I don’t think you’ll be disappointed. Before you head to Chile I recommend doing some background reading and suggest picking up a copy of either Fodor’s Essential Chile or Moon Patagonia including the Falkland Islands. Click on the photo to bookmark to our Pinterest boards.